The first of a two part celebration of Judy Klinkhammer’s life. 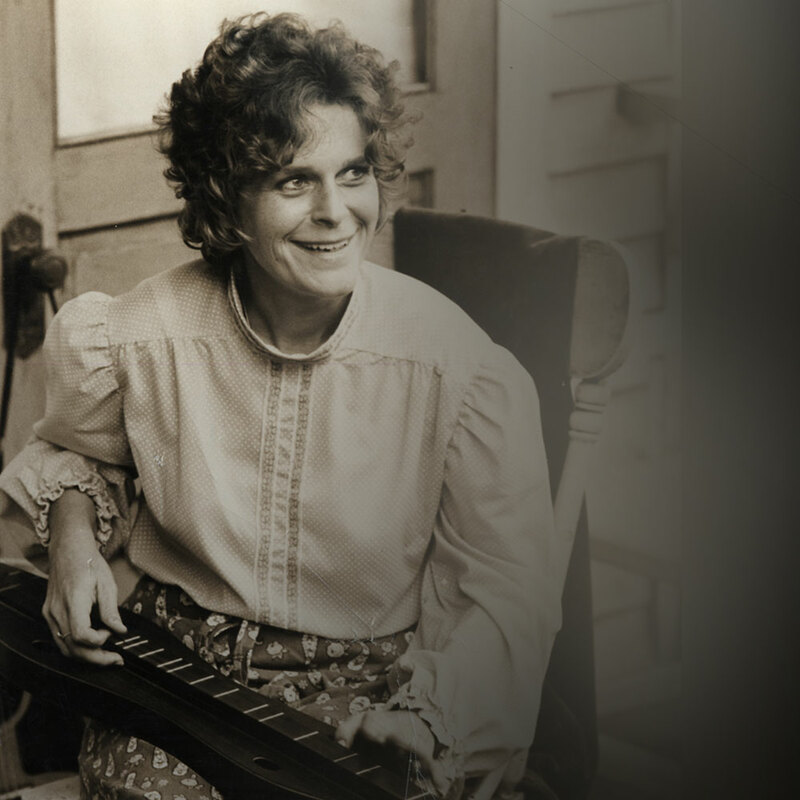 She was a well-loved dulcimer player and teacher who lived in the Ozark Mountains in Arkansas. 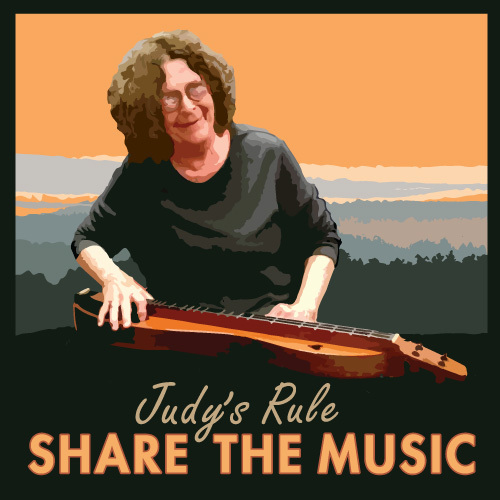 Many people credit Judy for introducing the dulcimer to that part of Arkansas in the early 60s. 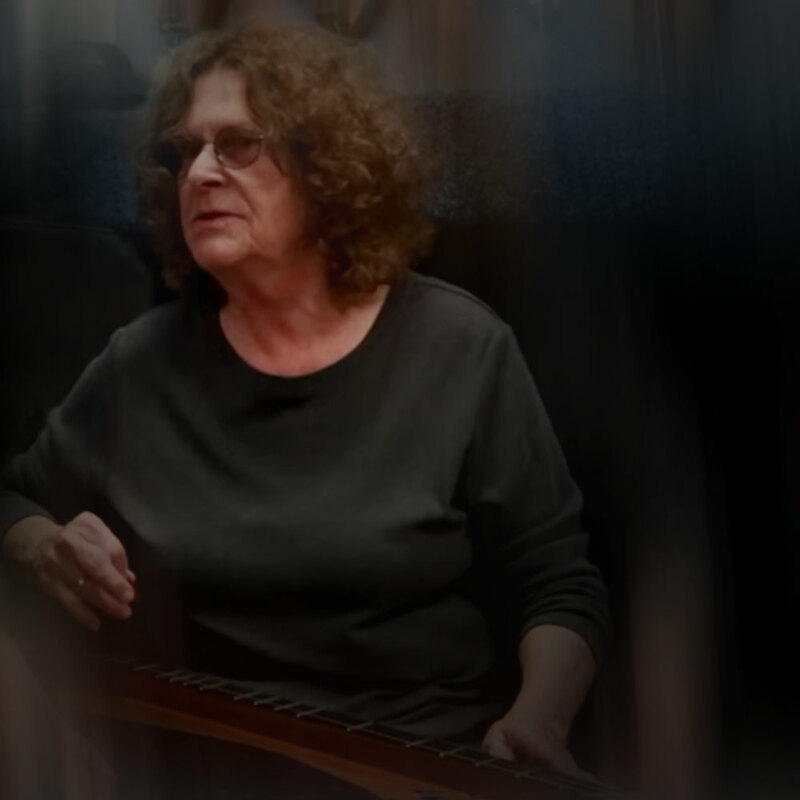 She truly lived with the dulcimer in the center of her life. The second in the two part celebration of Judy Klinkhammer’s life. 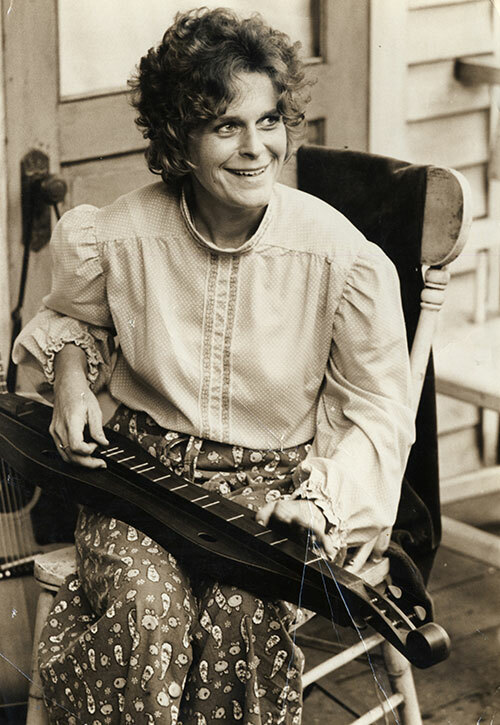 She was a well-loved dulcimer player and teacher who lived in the Ozark Mountains in Arkansas. 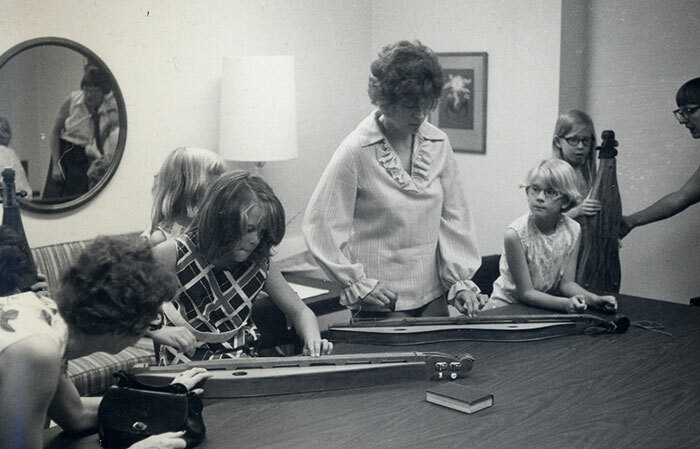 Many people credit Judy for introducing the dulcimer to that part of Arkansas in the early 60s. 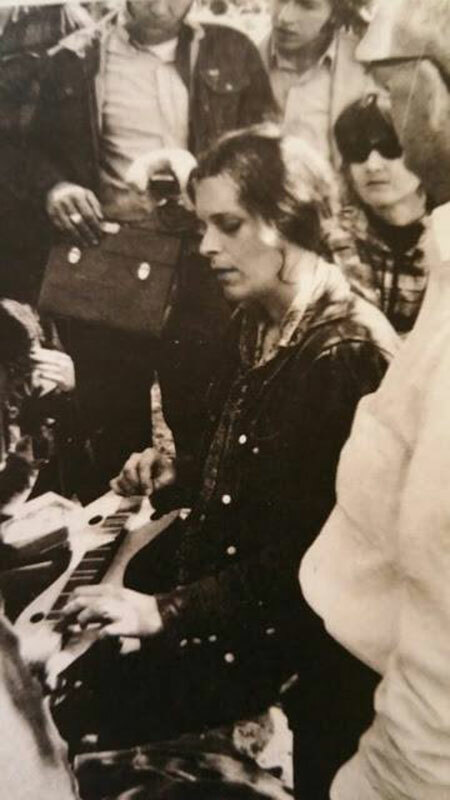 She truly lived with the dulcimer in the center of her life. Correction note: Around 28:12, Eileen Hinkle was called Elaine Hinkle. We meant to say Eileen Hinkle. Judy performing in Mountain View, Arkansas in the 1960s. 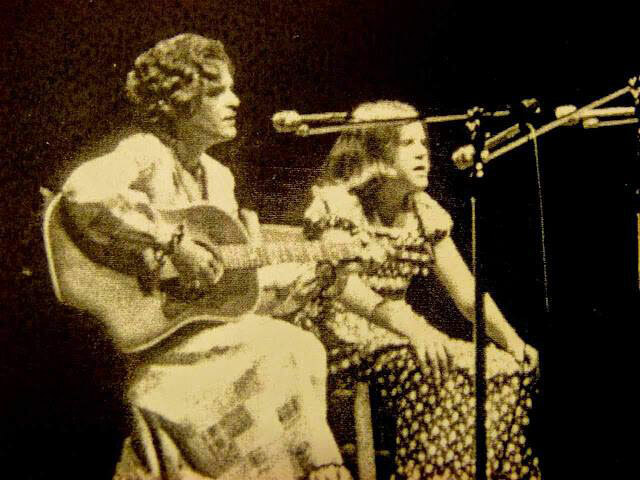 Judy and her daugther Sheryl performing in the early 1970s. 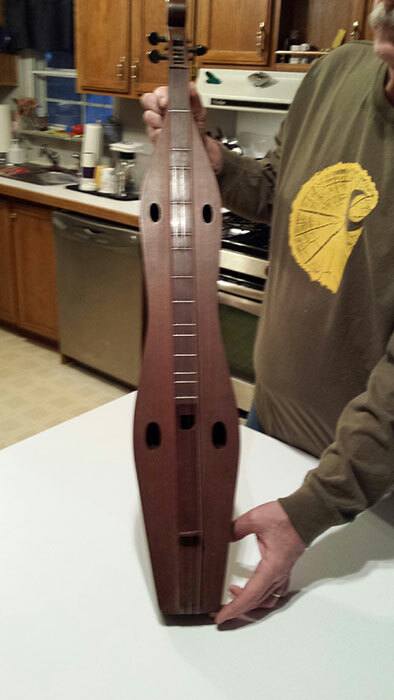 A 1960s "BugTussel" dulcimer made by Judy and her husband at the time Gene Klemmedson. 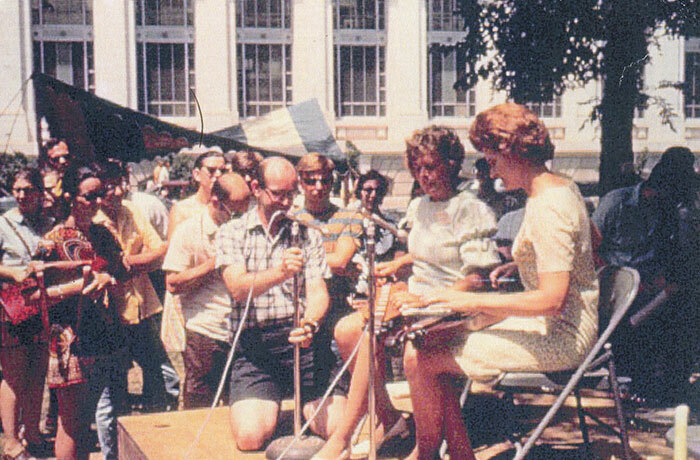 Judy performing at the 1970 Smithsonian Folk Life event in Washington DC with Jean Simmons. Howie Mitchell is setting up the mic. 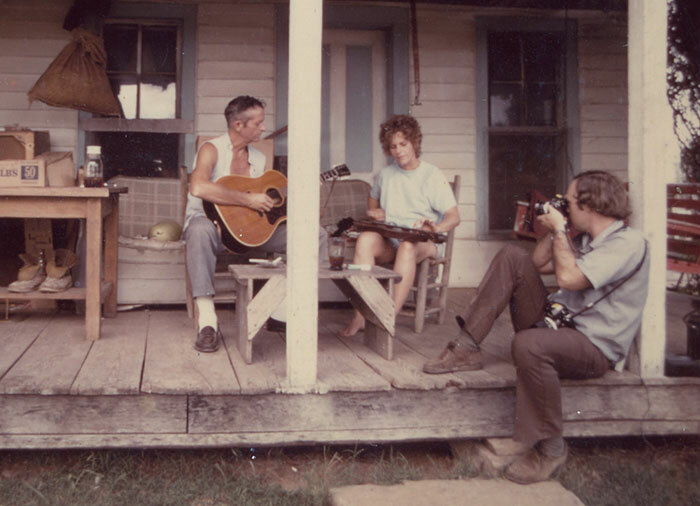 Judy during a photo shoot for the National Geographic book American Mountain People. A late 1970s photo of Judy. 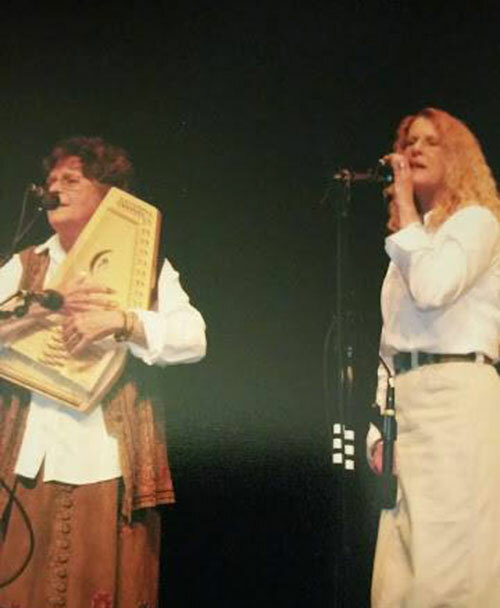 Judy performing with her daughter Sheryl Myers. Judy and Sheryl performing in the 1970s. 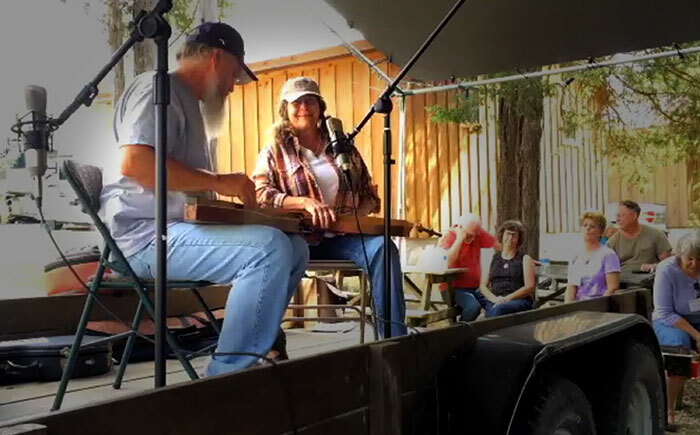 Duane Porterfield and Judy performing at the 2014 Ozark Dulcimer Gathering in Mountain View, Arkansas. 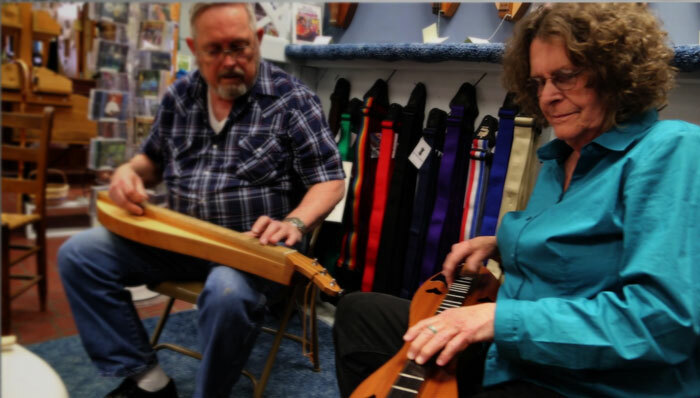 Jim Woods and Judy playing in the McSpadden Dulcimer Shoppe in 2013. 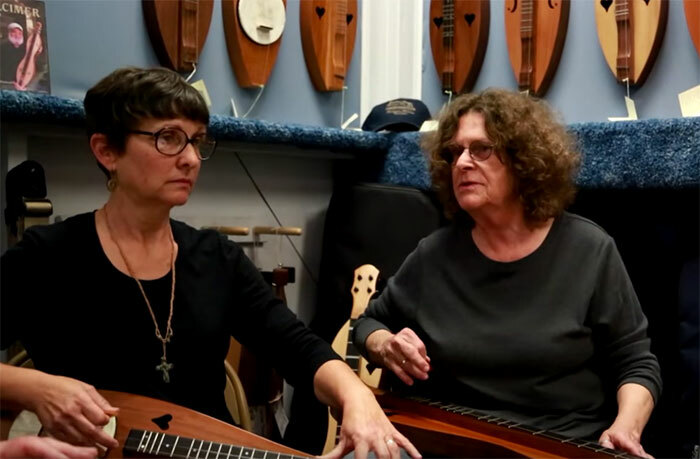 Mary Giger and Judy playing in the McSpadden Dulcimer Shoppe in 2013. 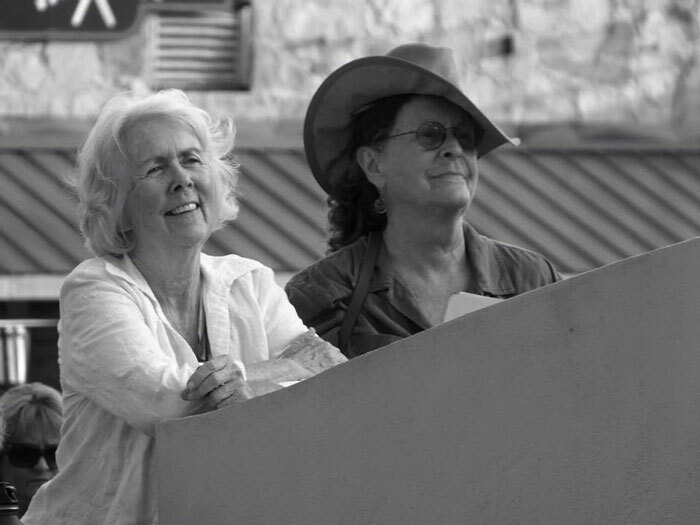 Rita Drake and Judy, summer 2014 listening to the Saturday Evening Musical on the Courthouse Square in Mountain View, AR. Photo by Judy's granddaughter Blair Tinkle. 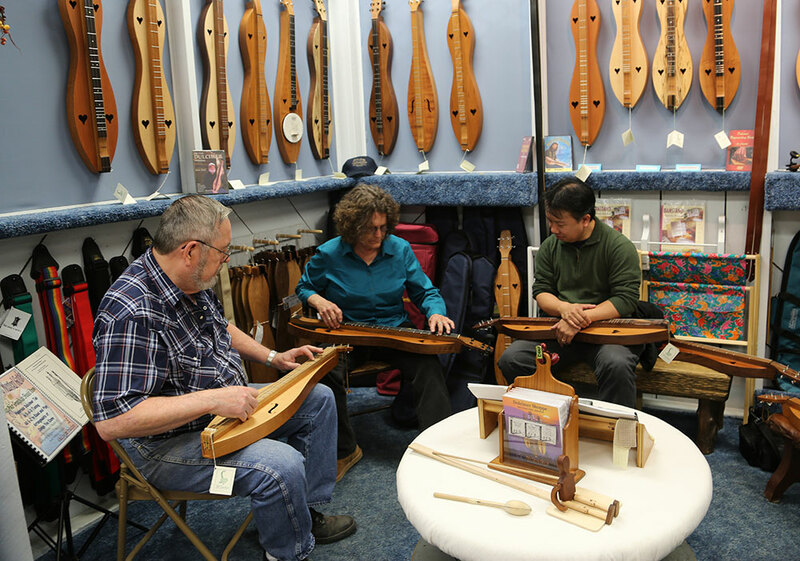 Jim Woods, Judy, and Wayne Jiang playing in the McSpadden Dulcimer Shoppe in 2013. 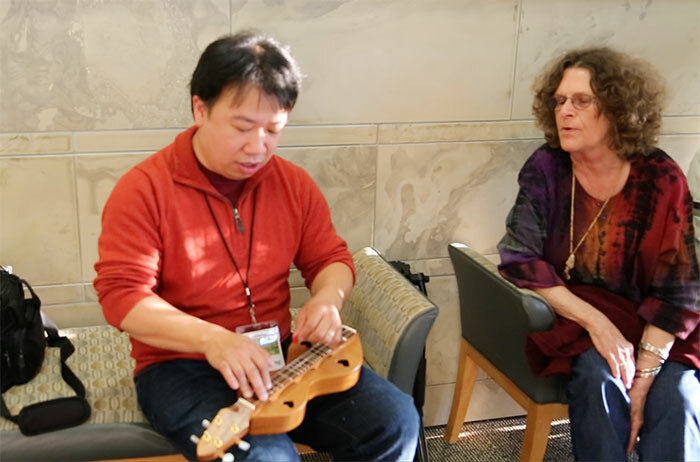 Wayne Jiang playing his soprano dulcimer with Judy singing before the world premiere of our film Hearts of the Dulcimer in 2013. A dulcimer case sticker we made for Judy's friends and family for her memorial in 2015.